When it comes to stainless steel, one feature you always one in your pan is an anti-jam feature and this food pan from Browne-Halco has it. This means you can stack these pans within each other and you won't have to worry about them becoming stuck making your kitchen quicker and more efficient while cooking. You don't want your kitchen staff spending valuable minutes trying to get your food pans unstuck while you have a customer waiting for their food. Combine the anti-jam feature with its reinforced rim, and you'll understand why Browne-Halco is so popular amongst restaurant kitchens. The reinforced rim allows chefs to carry the food in the pan without worry that it will break in the process. It makes carrying easier and helps create extra stabilization when placed in a steam table or buffet line. 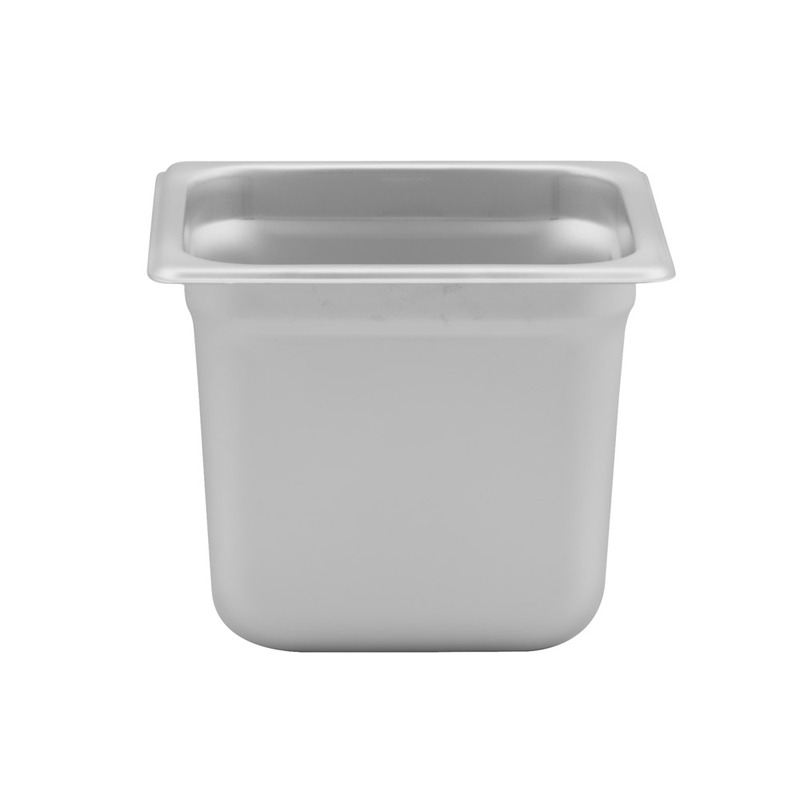 The full capacity is approximately 2.8 quarts as it is a standard 1/6 size food pan that has a depth of 6". It's perfect for placing condiments or sauces in on a make table.